You send us the template. We’ll put it together. 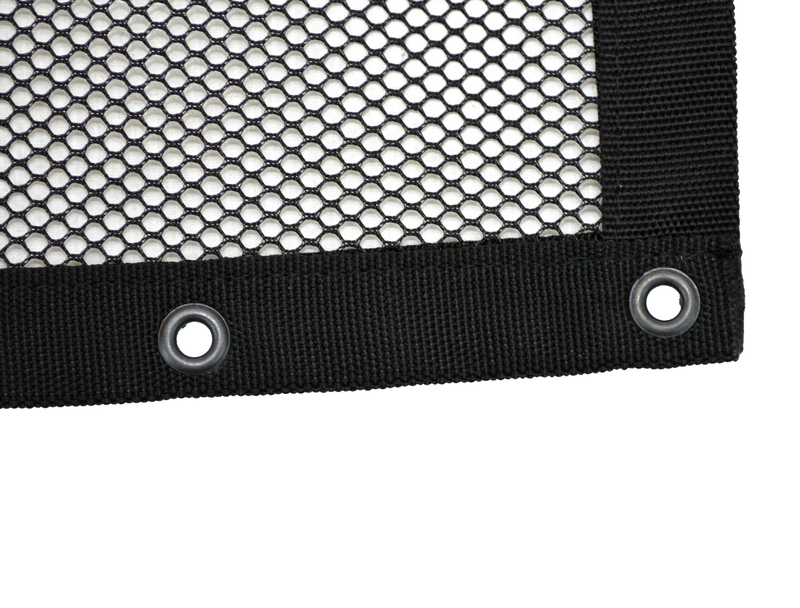 Whether you’re racing or just trying to add additional safety to your off-road vehicle, PRP Seats offers custom made window nets to fit your needs. 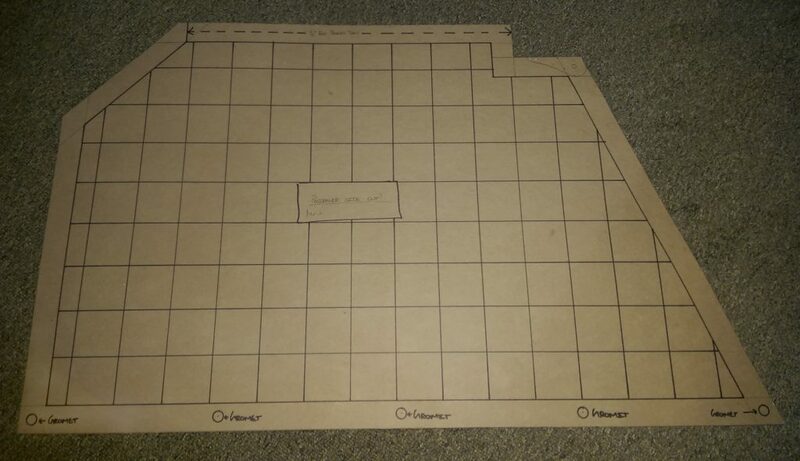 All we need from you is a FULL SIZE template made of cardboard or poster board with the attachment types and locations noted. Nets are produced and shipped 2–3 weeks from when we receive your template. This is what we like to see. A great template with attachments marked clearly. The first step is getting your hands on a piece of card board or poster board which will span the entire window opening. Something with a little rigidity is preferred. Please do not to use scrap, printed material as it makes reading the attachment notes more difficult. Attach the template material to the outside of the window. Any type of masking tape works fine. From the inside of the vehicle, draw the edges of the net EXACTLY how you want the Window Net to be shaped. Do NOT just trace the window opening. The extra lines confuse us. CUT OUT the final window net template. Our cutter here just lays the template out on the material and cuts it to the exact size of the template, so your submitted template needs to be the EXACT SIZE AND SHAPE of your desired window net. Any templates received which are not the exact size (i.e. “Add an inch here” or are not cut to size) will be charged a $25 template fee. Note the location (and angles if necessary) of all desired attachments (listed below). Unless noted, loops will be attached at a 90-degree angle to the edge of the net. Write your contact and shipping info ON the template. This ensures we do not misplace your info during production. Please fold the template as few times as possible or roll and ship in a tube. Per net. Does not include attachments. Measurement is the total perimeter of the net. 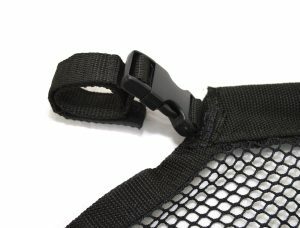 To be in compliance with SFI 27.1 Certification, window nets are required to be constructed either entirely from 1″ Webbing Material, or from Mesh Material with a strip of 1″ Webbing at 8 inch intervals across the length of the net. The net must be secured to the vehicle on the top and bottom by either a Spring Rod or Latch System. 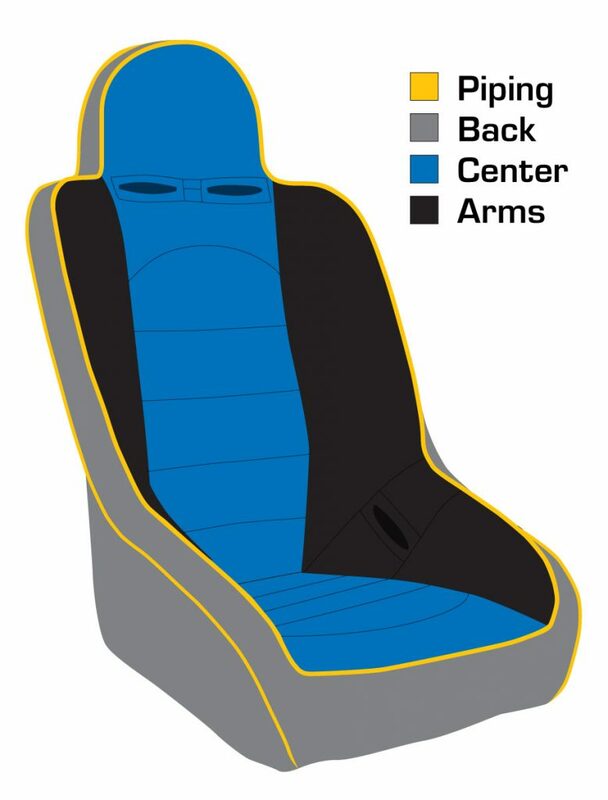 This allows for a quick disconnect of the net by the occupants, regardless of the position of the vehicle. 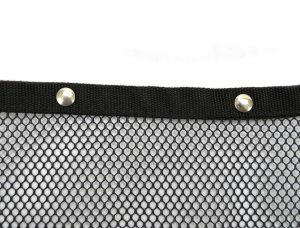 For small triangle style nets grommets are recommended. Want to know more? Or wondering what the exact requirements are for you race sanction? 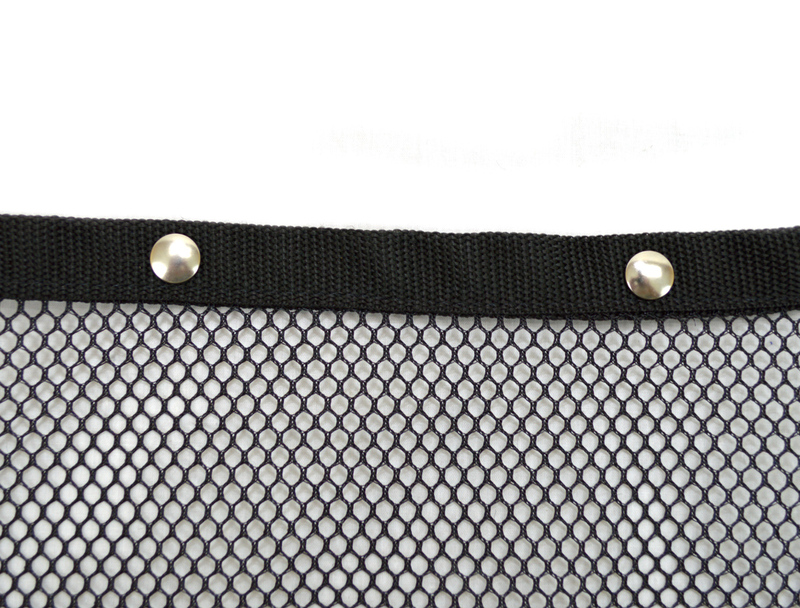 We offer window nets in two material options. 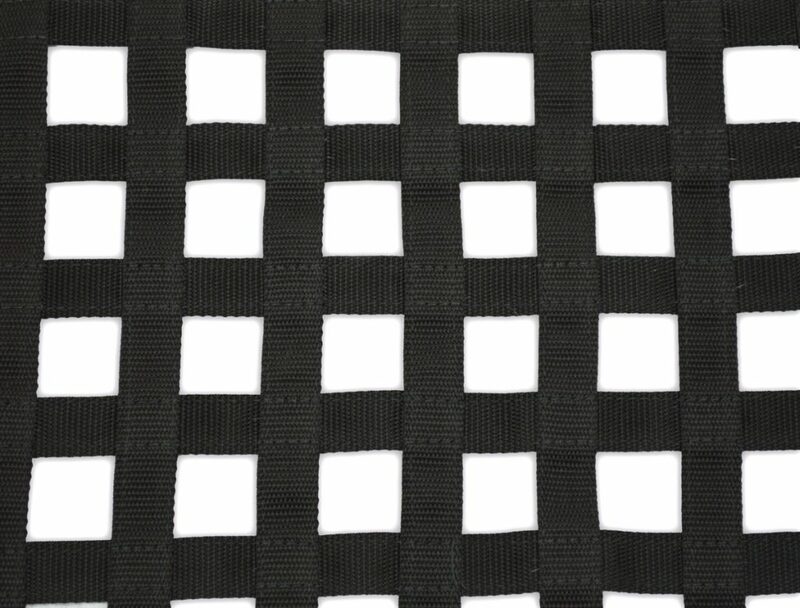 One inch webbing for racing sanctions where SFI certified nets are required and a mesh for all purpose use as well as select racing sanctions. 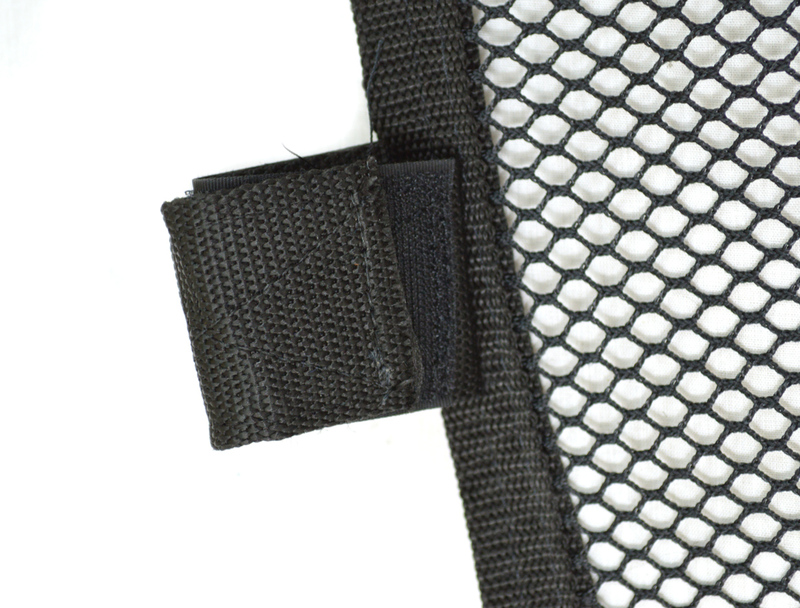 One inch webbing for races requiring SFI certified nets. 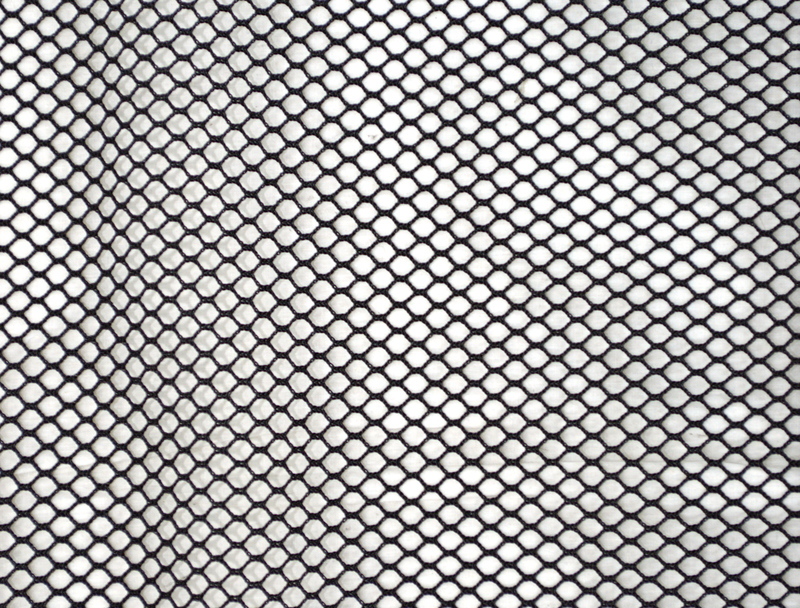 Mesh for all purpose riding. Built with one inch webbing support strips every 12 inches. You can order your nets with various attachments. All have their own advantages and requirements. Please check with your race sanction FIRST to see what is legal for your class. For SFI approval, you must use rods (spring or fixed) on the top and bottom of your net. Hook and loop attachment wraps around a roll bar. Not typically legal for racing. 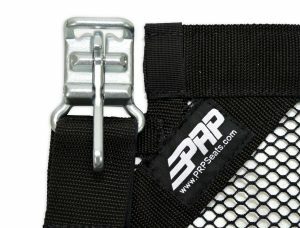 Clips with loops to wrap around the roll bar. A latch is used in combination with a steel rod and link mechanism. 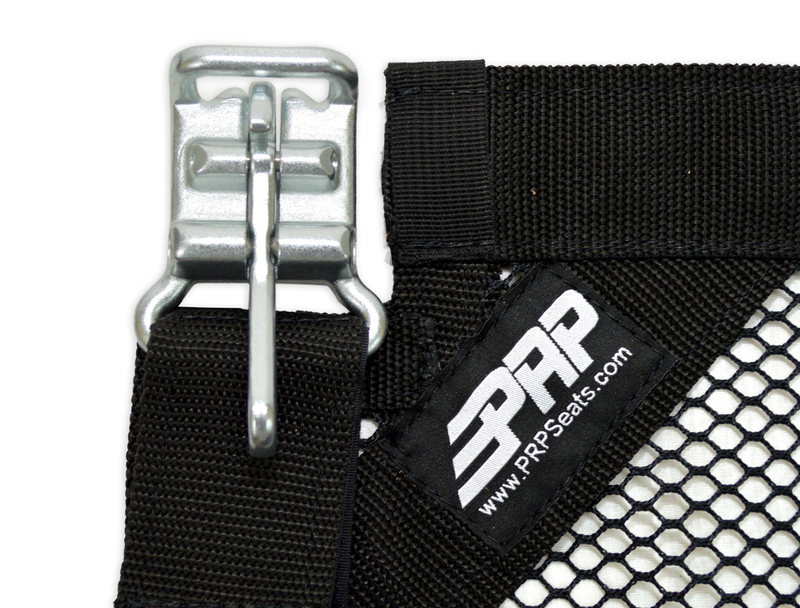 PRP does not offer hardware for this to attach. SFI approved when using top and bottom rods. 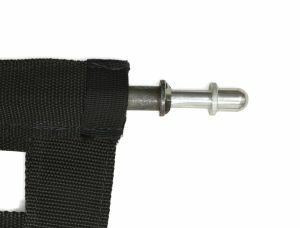 Spring rod kits include the lever and tabs to weld to the cage. Snaps include the female end in the net and the male end with screws attached for attaching to the inside of the vehicle window.